In recent years, the number of popular reality shows depicting real workers performing hands-on duties has increased significantly. For example, there’s the wildly popular A&E reality series Duck Dynasty that features the Robertson family running an extremely successful duck hunting business. The Discovery Channel’s Deadliest Catch has been captivating television viewers for ten seasons, depicting commercial crab fishermen hard at work on the Bering Seas. And HGTV’s Property Brothers gets into the action, depicting real estate agent Drew Scott searching for fixer-uppers for his client, while his identical twin brother Jonathan utilizes his contracting skills to renovate the homes. Skilled trades like these have captivated millions, perhaps due to the fascination Americans have with the anomaly that is rewarding and satisfying work. Here, we’ll uncover some of the greatest benefits and rewards associated with trades that require working with your hands. In a May 2012 article in entitled Creativity, Happiness and Your Own Two Hands, psychology professor Dr. Kelly Lambert revealed the results of her study on the effects hand use and cultural habits have on an individual’s overall mood. The article, published in Psychology Today showed that hands-on work satisfies a “primal need” to create things. Thus, it was concluded that the overwhelming tendency in American culture to purchase items we need and to use technology to the excess has, in some way, deprived us of an innate need that offers us both pleasure and pride. In short, working with the hands provides the type of internal satisfaction that only comes from seeing a job through–start to finish–and being able to look upon that work with pride. And despite some misconceptions to the contrary, working with the hands does require quite a bit of intelligence, wisdom and skill in order to get the job done properly. As important as intrinsic rewards, those seeking hands-on work want to assure that their chosen trade is in-demand and that there are opportunities to earn a great living. 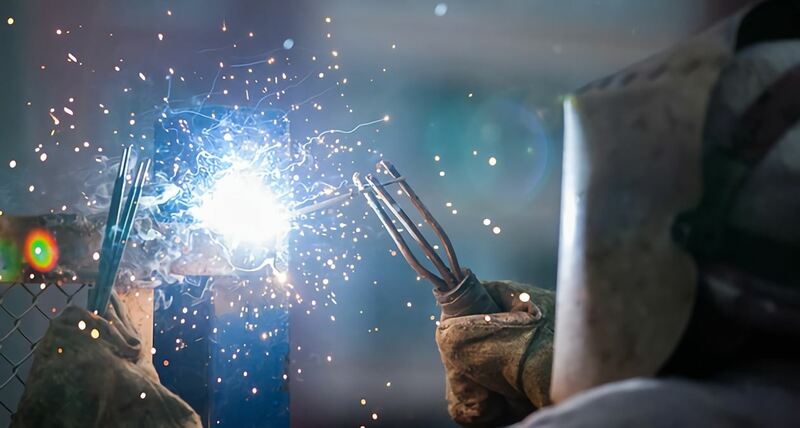 Welding, for example, offers opportunities in industries such as construction, aviation, shipbuilding and the automotive industry. HVAC technicians are needed in the construction industry and are called upon by virtually every home, office or warehouse for repair work regularly. Thus, having steady, fulfilling and profitable work is absolutely available in the skilled trades. In conclusion, for those who want to learn more about skilled trades involving working with their hands can look to qualified trade schools like Tulsa Welding School to get started on the right path.